FBN’s Jeff Flock on the possibility of Fiat-Chrysler developing an aluminum Jeep Wrangler. The next-generation Jeep Wrangler may be built from aluminum rather than steel in a move that would shift its production away from the Toledo plant in the U.S. state of Ohio, the head of parent Fiat Chrysler Automobiles (FCA) said on Thursday. Speaking at the Paris auto show, Chief Executive Sergio Marchionne said FCA <FIA.MI> was doing a number of engineering studies, also seeking to downsize the engines of the popular sport utility vehicle and to boost their capabilities. "One of the things we are debating is whether this thing requires going into a material other than steel," Marchionne told reporters. "If the solution is aluminum, then unfortunately Toledo is the wrong place, the wrong set-up to try build the Wrangler because it requires a complete reconfiguring of the assets that would be cost prohibitive." FCA has recently began producing a small Jeep model, the Renegade, in Italy and plans to also localize production of Jeeps in Brazil and China next year. However, Marchionne said he would hold on to his commitment never to move Wrangler production outside the United States. Marchionne said one issue facing the company was what else to do with the Toledo plant that would fulfil its commitment to the city and to the state, adding there would be "zero impact on head count and employment levels". The Toledo plant currently produces both the Wrangler and the Jeep Cherokee. 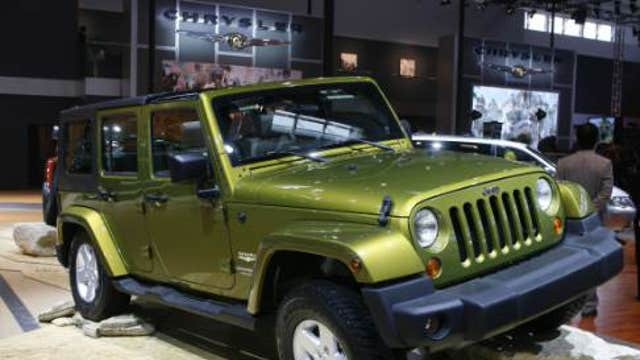 Along with the Grand Cherokee, the Wrangler is one of two best-selling models for the brand that traces its roots to the iconic World War Two military vehicles. Marchionne said the company was on track to sell 1 million Jeeps this year, a 37 percent jump from last year. By 2018, FCA hopes to boost Jeep sales to 1.9 million vehicles.